Cane or woven rattan was used for furniture through in 17th and in the 18th century but for the first use of cane for modern or early modern furniture probably best-known are the bentwood chairs from Michael Thonet in Austria from the second half of the 19th century and then the use of woven cane for the seats and backs of chairs by designers from the Bauhaus in Germany in the 1920s - particularly the cantilevered chairs with woven cane seats and back by Marcel Breuer but also the MR10 arm chair with a cantilevered frame in chrome tube with woven basketwork seat designed by Mies van der Rohe in1927. 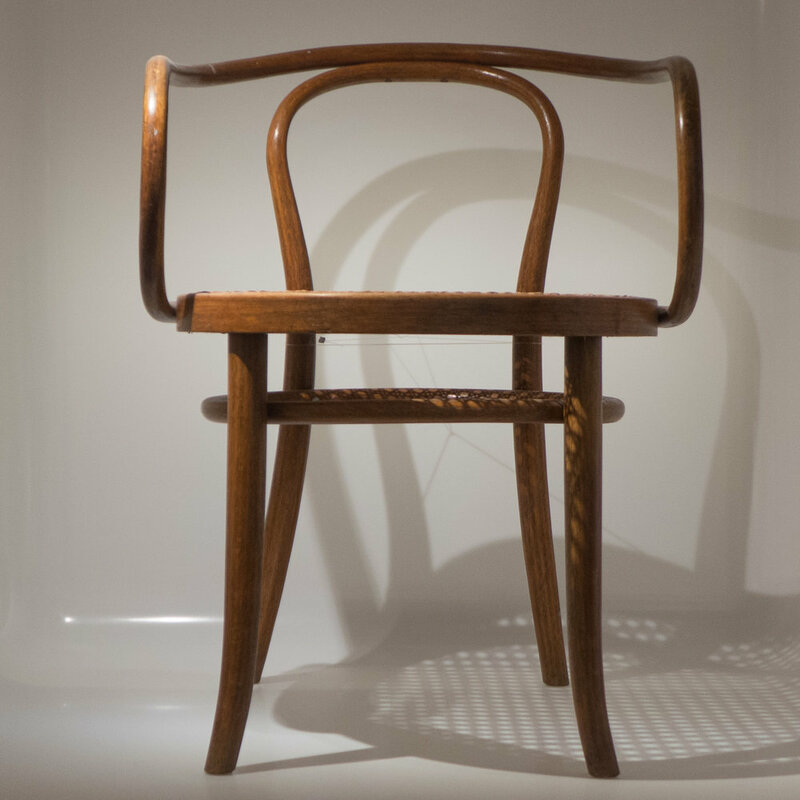 Perhaps the most famous Danish design with woven cane is the Faaborg Chair designed by Kaare Klint. This has cane work across the back rest and for the seat with the cane hand woven, taken through holes in the frame and held in place with pegs or splints of cane. The traditional pattern has lengths of cane taken across the seat front to back - spaced a few millimetres apart, and then canes taken across the seat, interwoven, under and over alternate canes, and then canes are interwoven across diagonally, again in both directions, to create a crisscross with a distinct pattern of octagons. 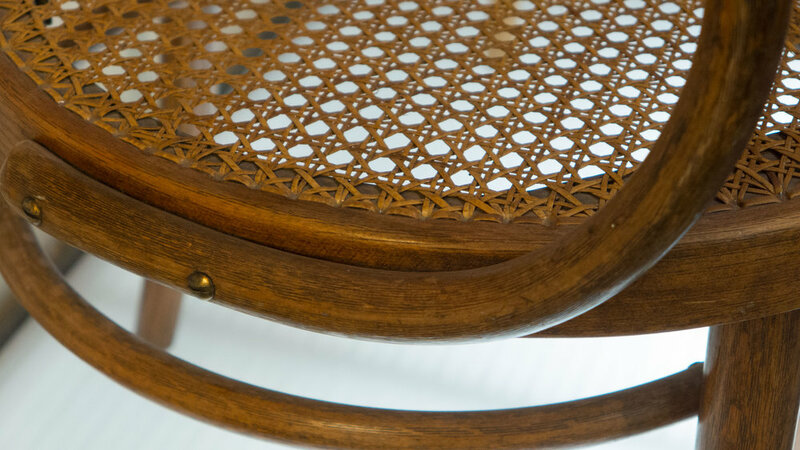 On most chairs the edge is finished with a single cane running around over the holes and held in place by a loop of cane so that the effect looks rather like stitching. Glue can be used on the underside of the seat to hold cut ends in place. 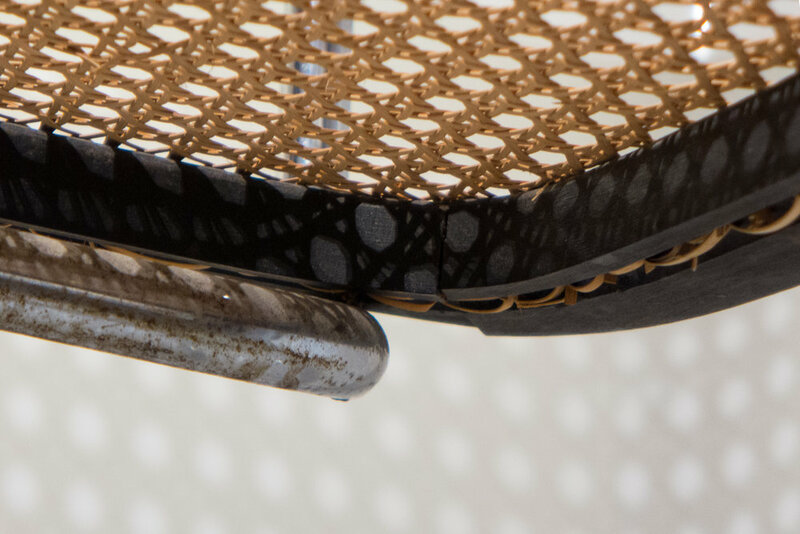 In a cheaper version, cane is woven to the same pattern but as a sheet that is then stretched over the frame of the seat or back rest with the outer edge and loose ends driven down into a narrow channel or groove and held in place with glue and by a spline of cane driven in on the top. 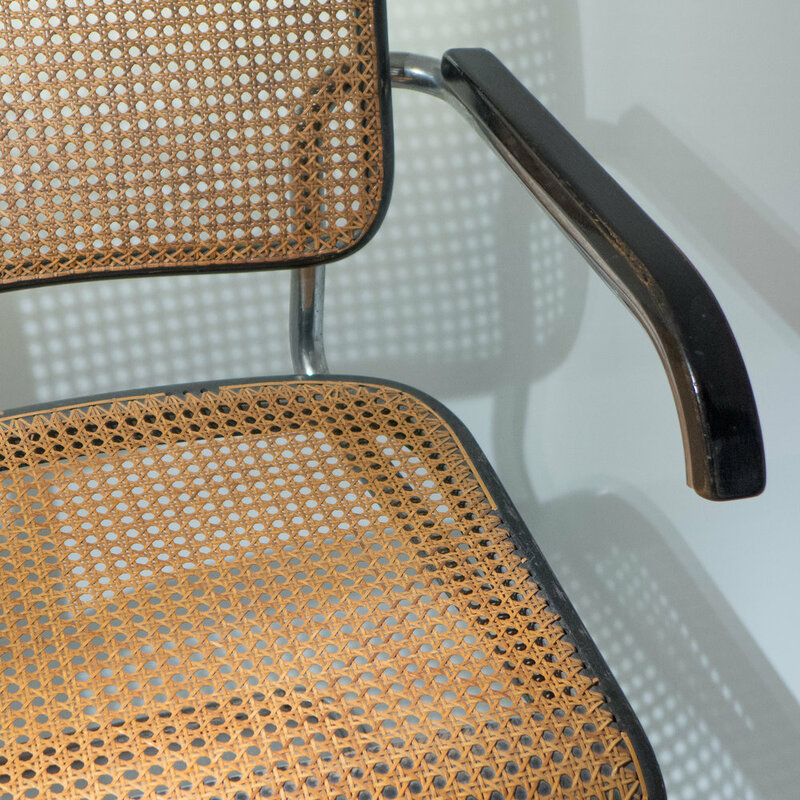 Chairs can also be covered with woven canes that form a tight basket-like surface often with a pattern formed by weaving canes in pairs and the edge is usually finished with a braided pattern in cane run around the seat.